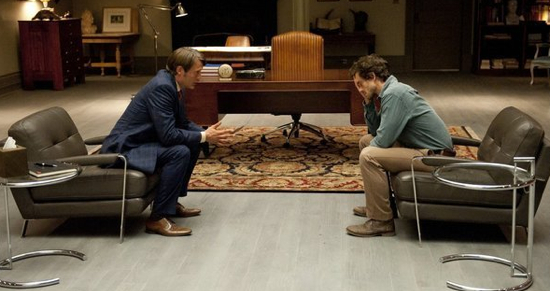 Will Graham knows all about the meeting of minds. Dr. Lecter knows Will Graham is not like the others. Will’s gift is a colorful curse. Jack Crawford introduces himself to Hannibal Lecter. Jack needs Dr. Lecter to back off on head shrinking Will Graham. Jack tries to keep Will Graham focused on a killer. Alana Bloom is looking out for Will Graham.